With CES 2019 barely in the mirror behind us, the consumer electronics industry is already barreling towards its next major trade show, Computex 2019 in Taiwan. And, as it turns out, leading that charge will be none other than AMD’s CEO, Dr. Lisa Su. Announced by the show’s organizers this morning, Computex 2019 will be establishing a new “prime” keynote to kick off the show: the CEO Keynote. Delivering that keynote, the very first keynote of the show, will be Dr. Lisa Su, who will be giving a presentation to be called “The Next Generation of High-Performance Computing”. Computex of course is no stranger to corporate keynotes and press events. However until now, the show has never held an official lead keynote (ala-CES), and rather keynotes have largely been semi-official, frequently off-site affairs. So for the show to establish a lead keynote is a big deal, overshadowed only by the fact that the organizers specifically invited Dr. Su to deliver the very first keynote, making this an auspicious honor for AMD and its CEO. While the announcement itself doesn’t go into much concrete detail about the presentation, AMD’s 2019 roadmap is well-known at this point, with a slate of 7nm products scheduled to launch, including both AMD’s highly anticipated Zen 2 CPU architecture processors (EPYC, Ryzen 3, etc) and products based on their upcoming Navi GPU architecture. 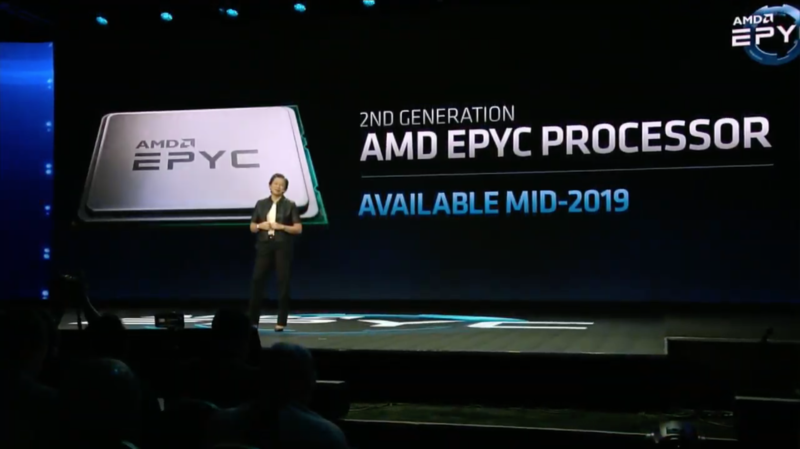 AMD has previously announced that the next generation of EPYC processors would be available in mid-2019, so Compute falls right in the middle of that timeframe. The CEO Keynote will kick off at 10am local time on May 27th, which is the show’s usual pre-show press conference day. AnandTech will of course be there in force, and we’re looking forward to seeing just what AMD has up its sleeve.